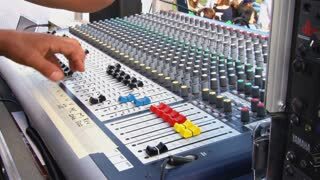 Search Results for "live sound"
Sound editor works with the sound mixer during live broadcast on TV. 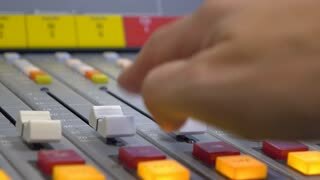 Close-up of a girl in headphones with microphone and big sound mixer says Live. Work on the air. Studio broadcasting media. The girl media professional. Mass media. TV radio communications. Colorful Live Action Kid's Show - complete with professional sound design and original music. No editing required. New York, United States - jun 22, 2016: Street musicians play country music in New York City, United States. Street artist plays electric guitar live in busy city street. Video with ambient sound.